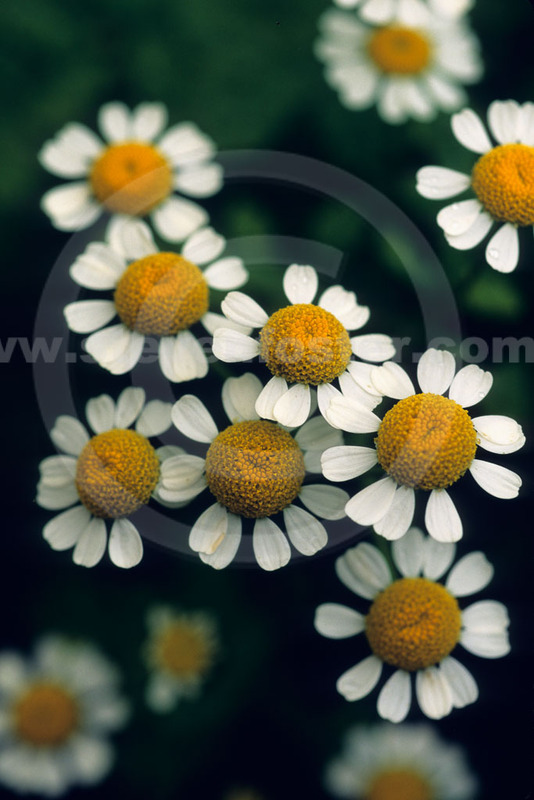 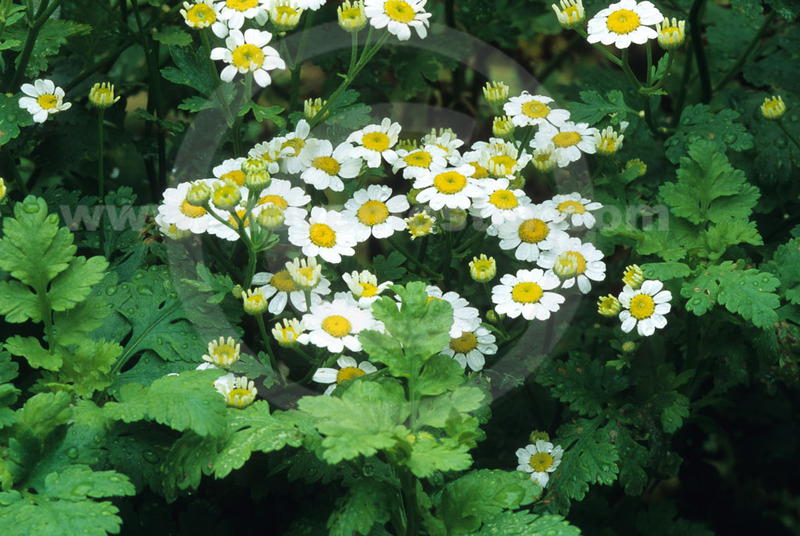 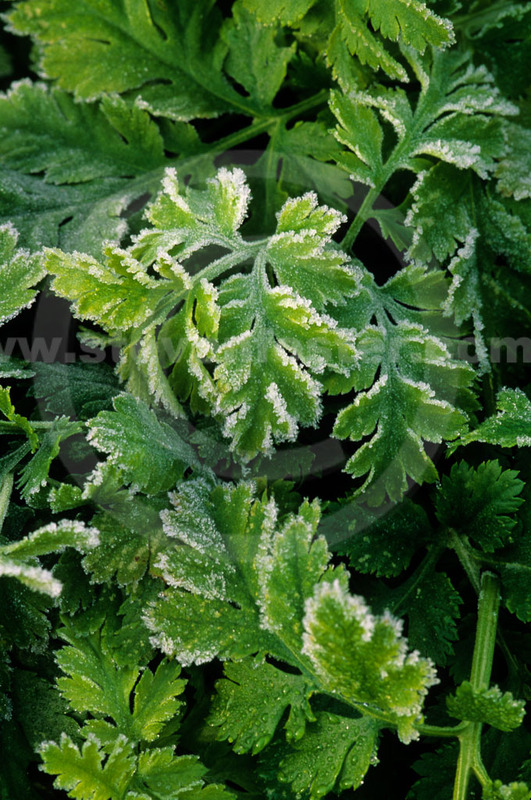 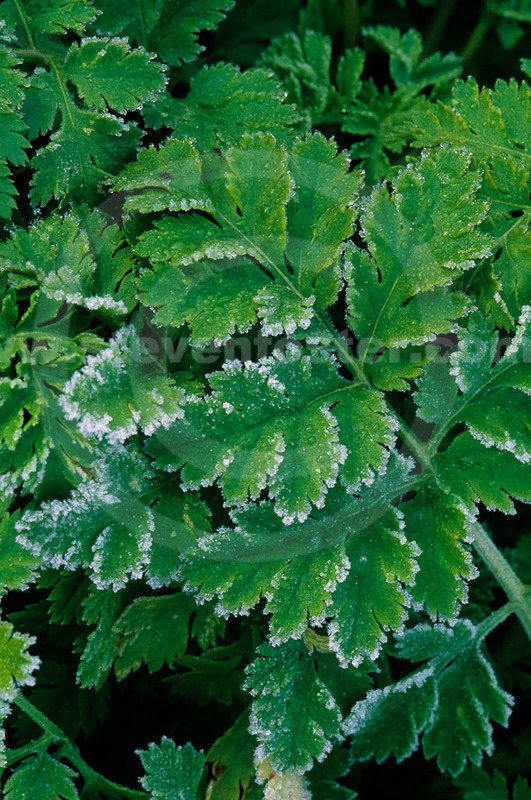 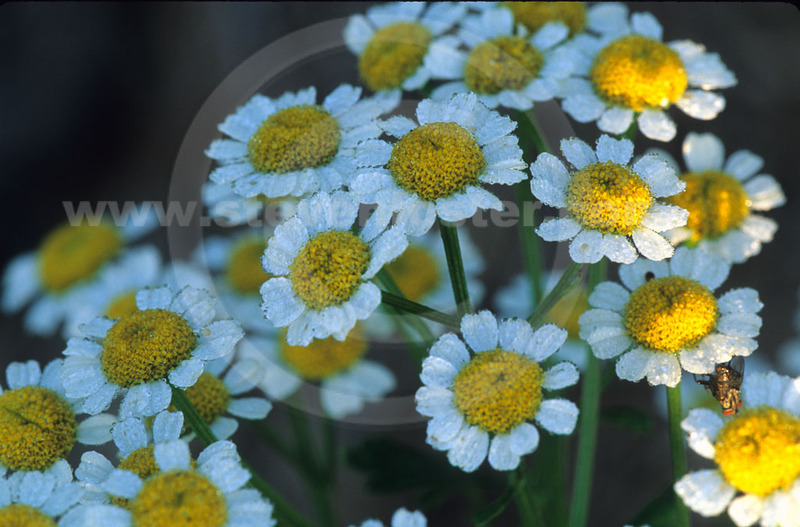 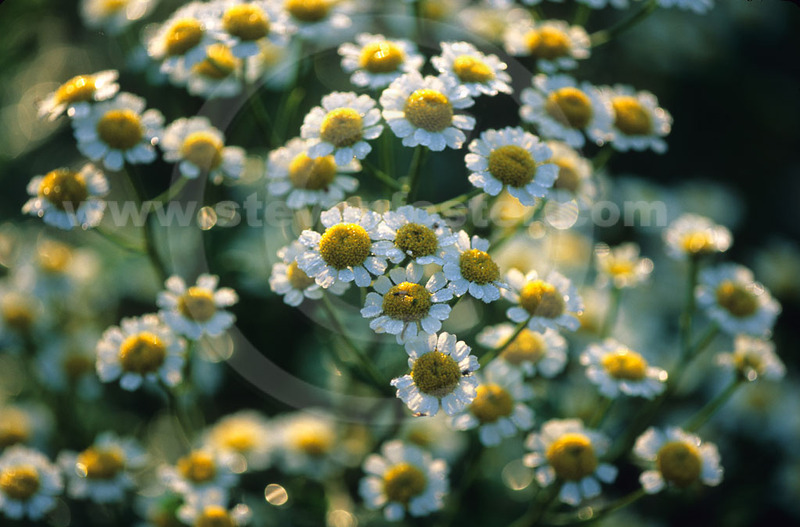 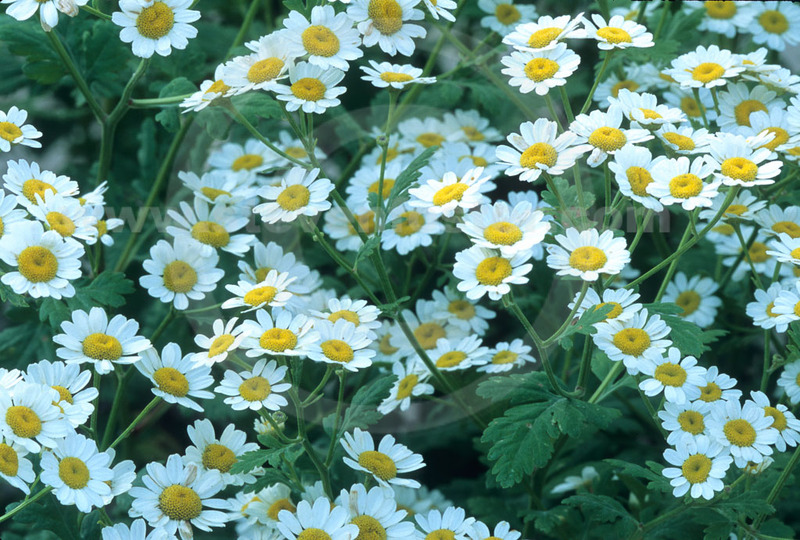 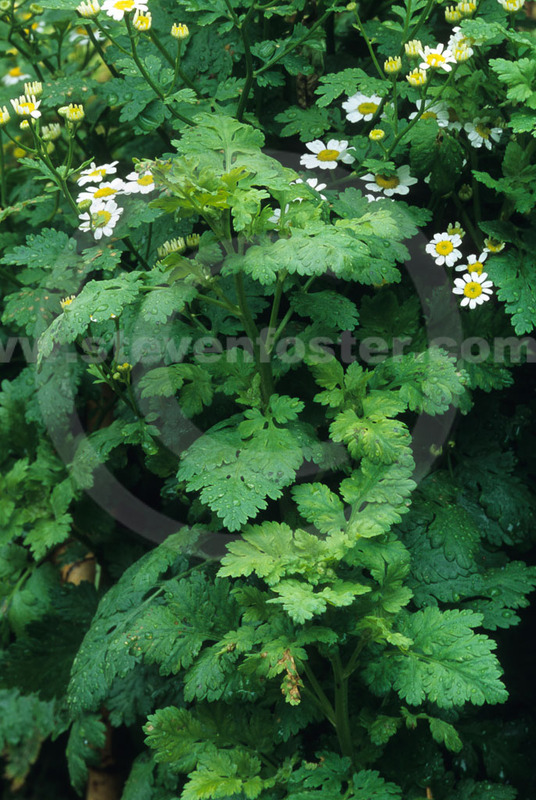 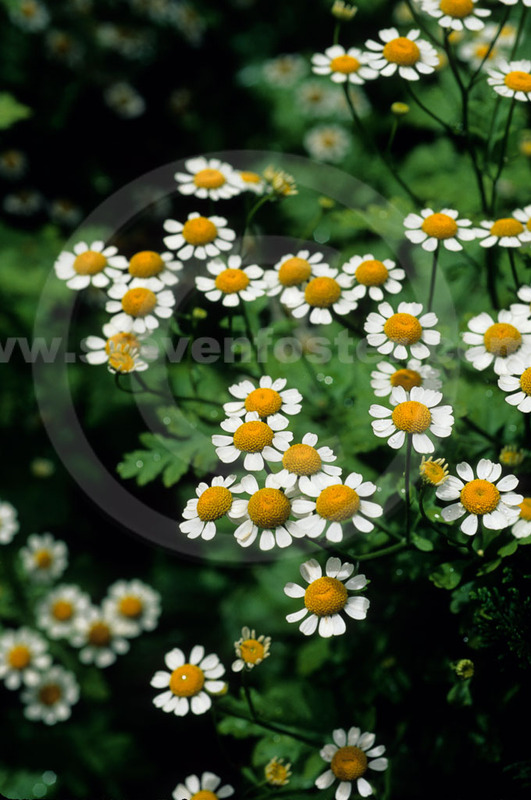 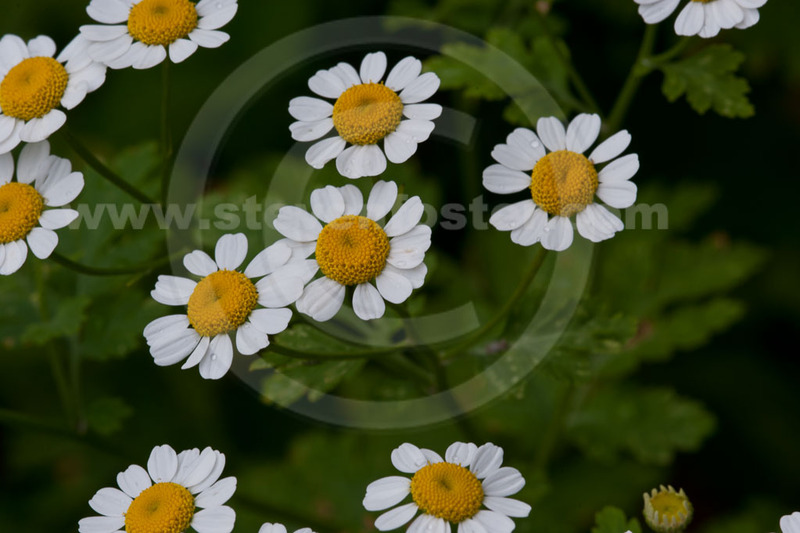 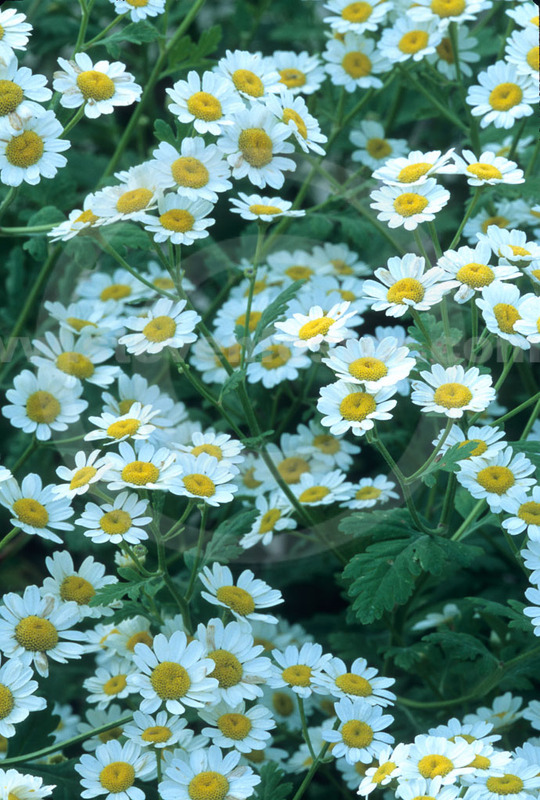 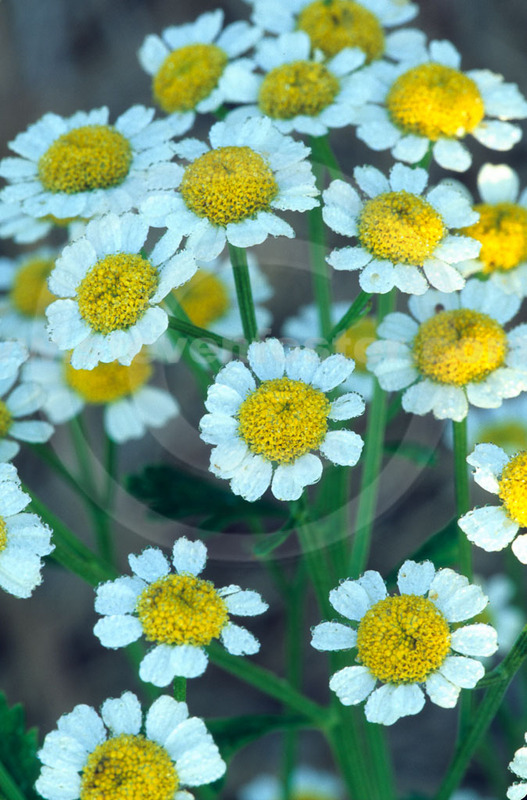 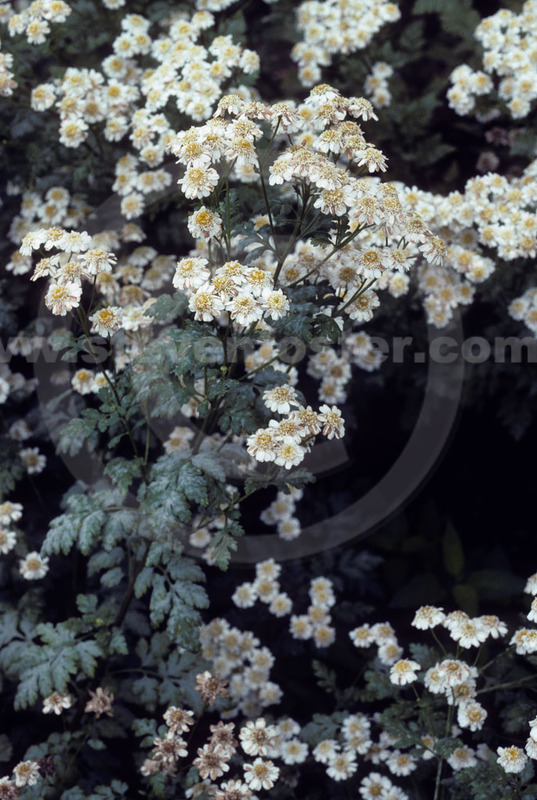 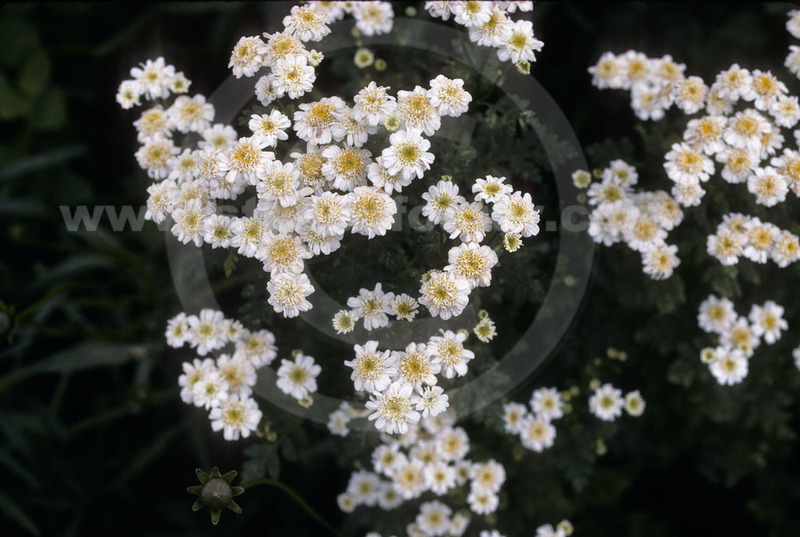 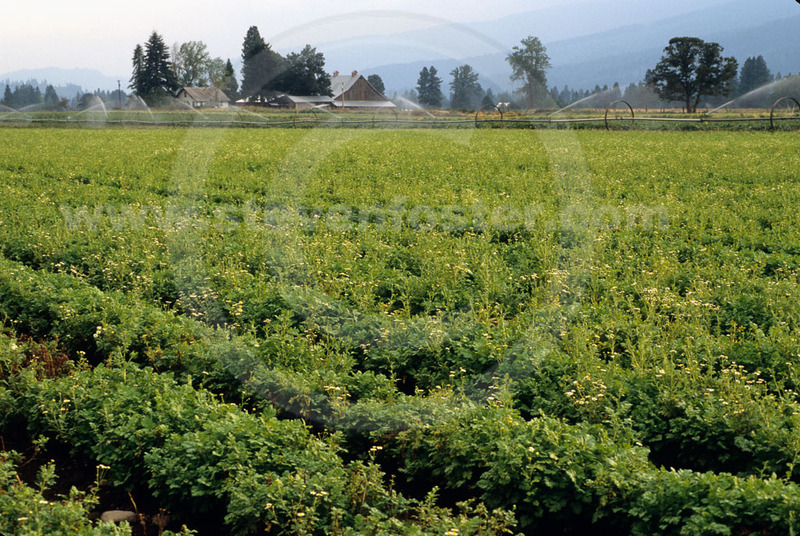 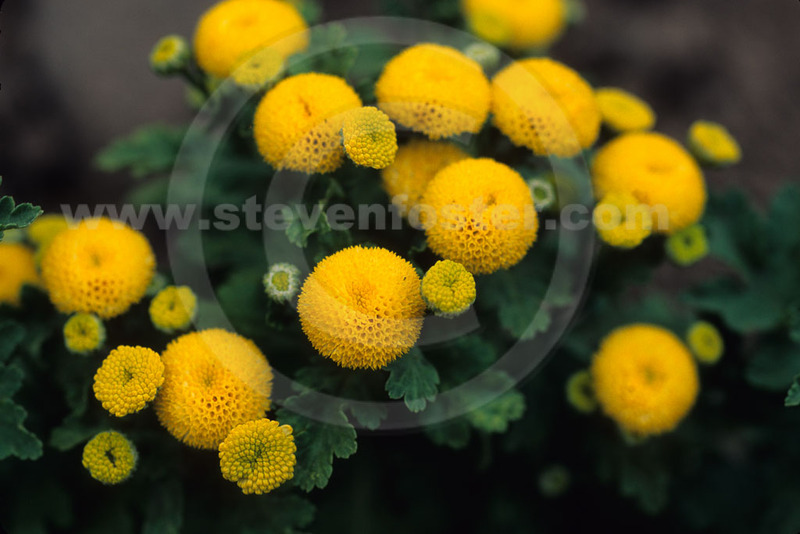 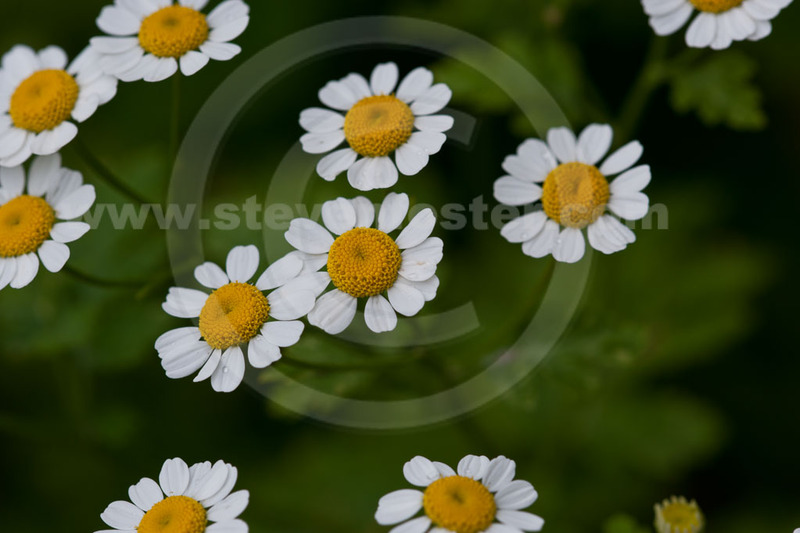 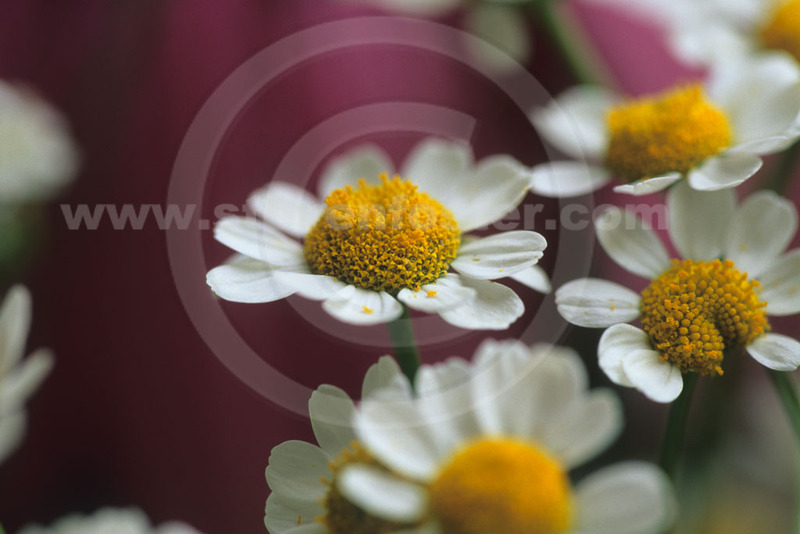 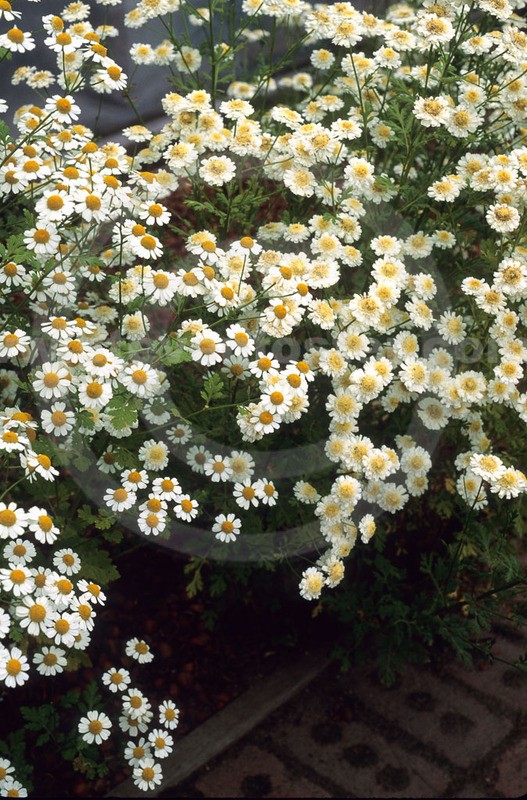 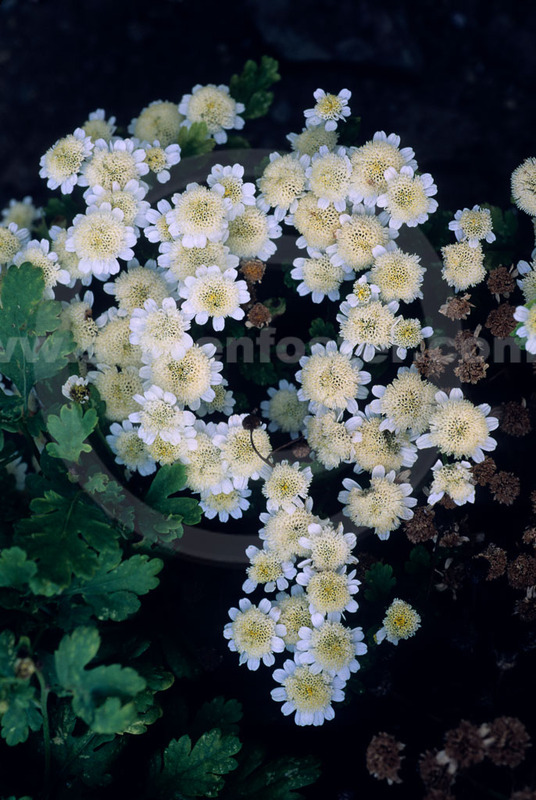 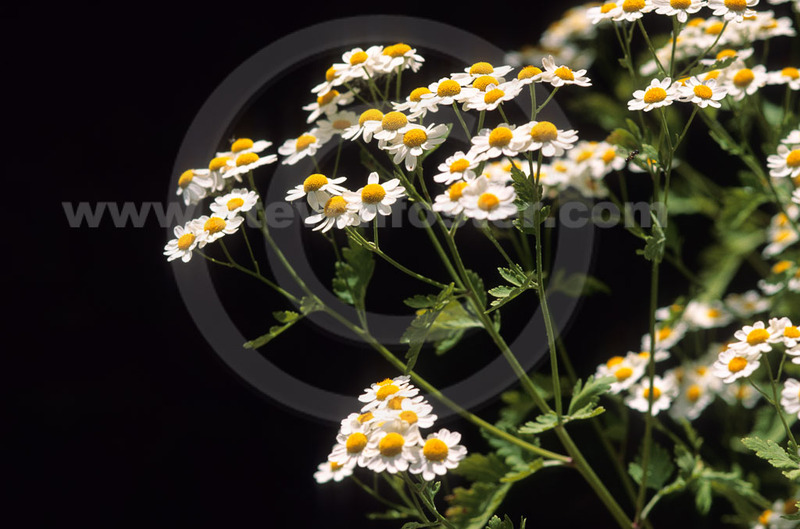 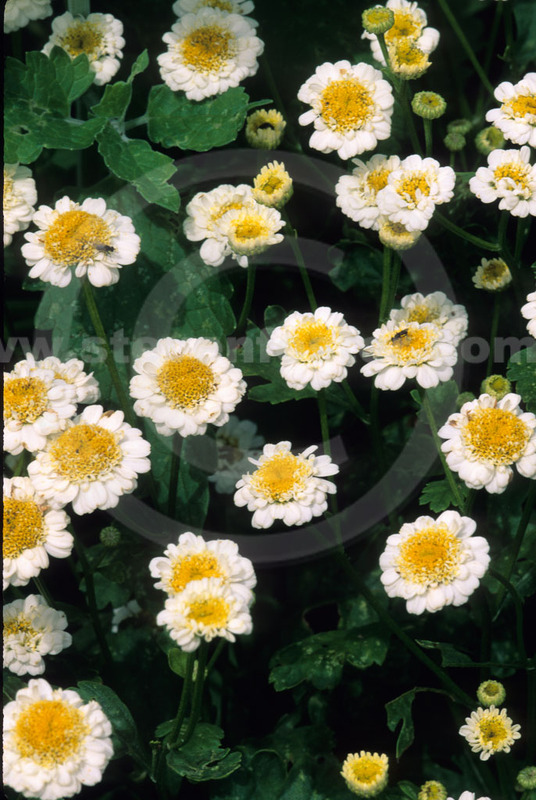 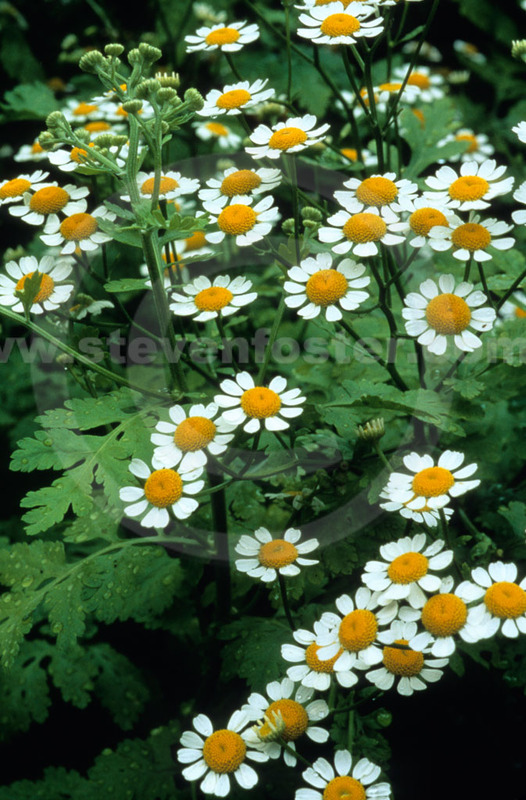 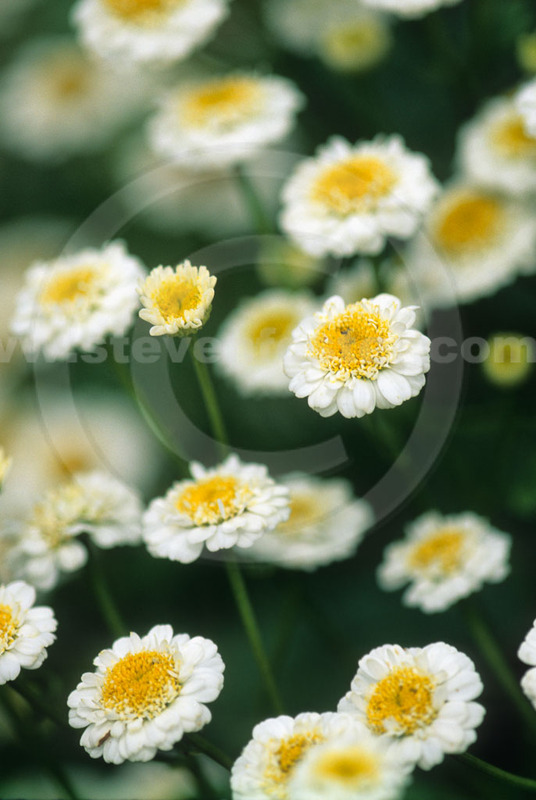 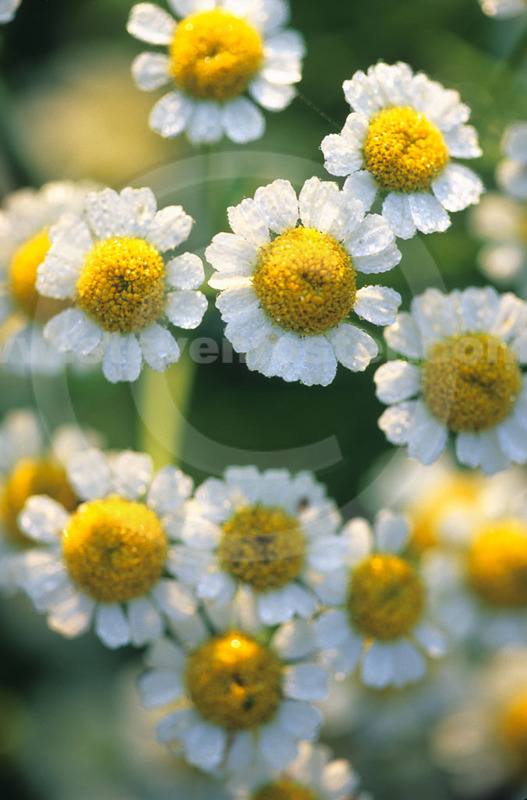 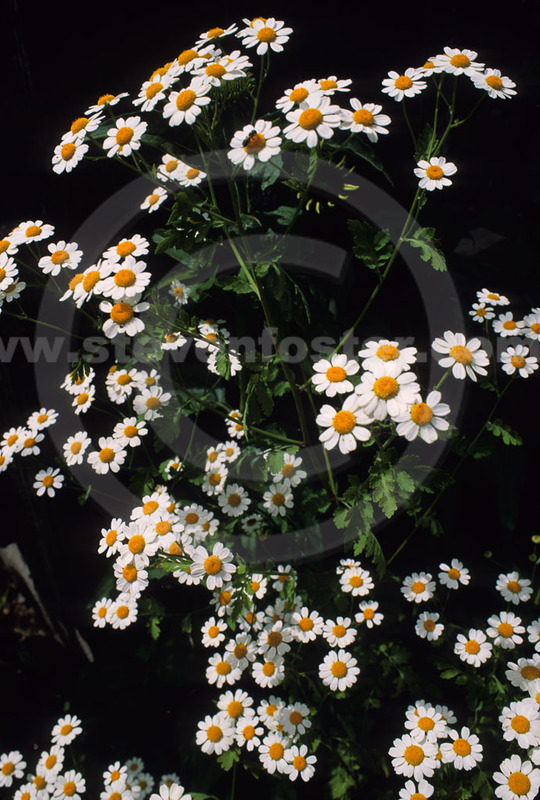 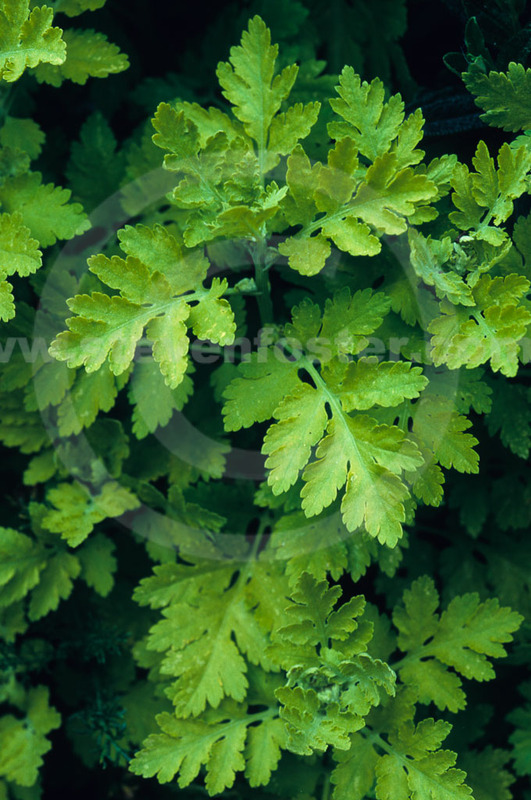 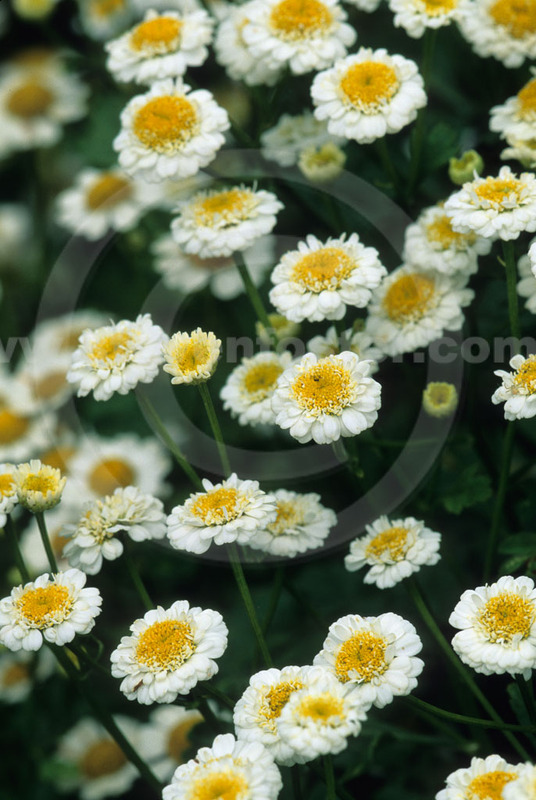 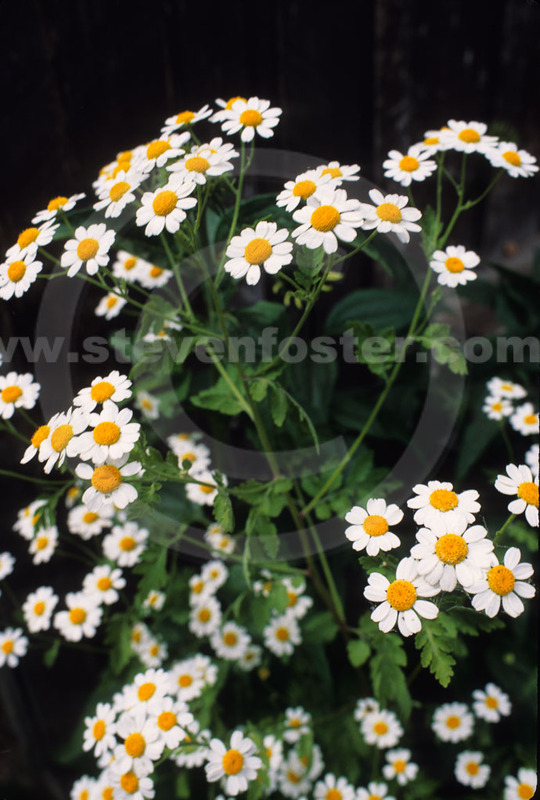 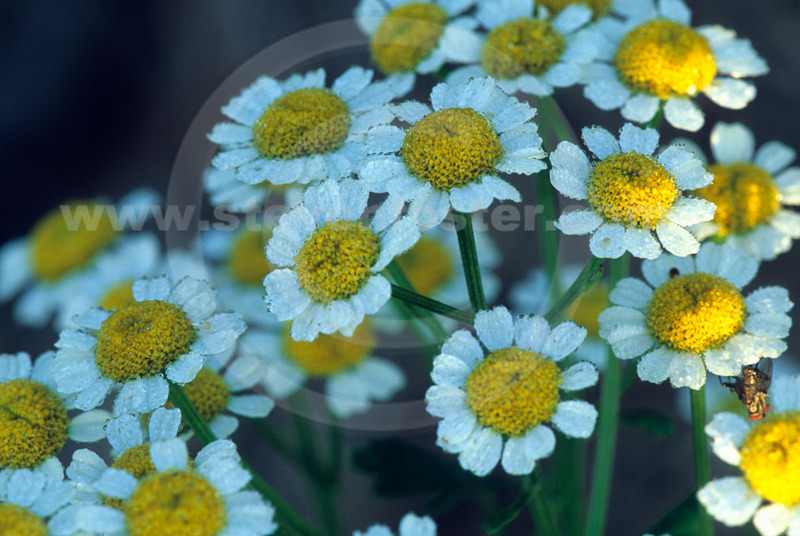 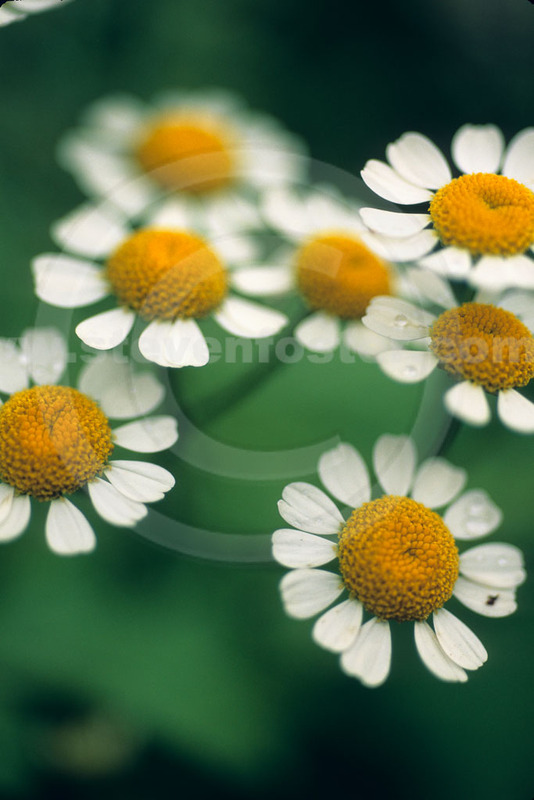 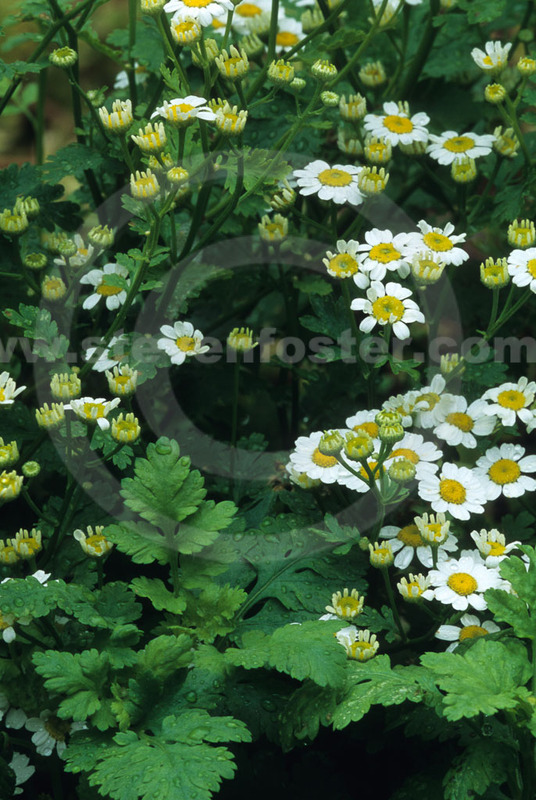 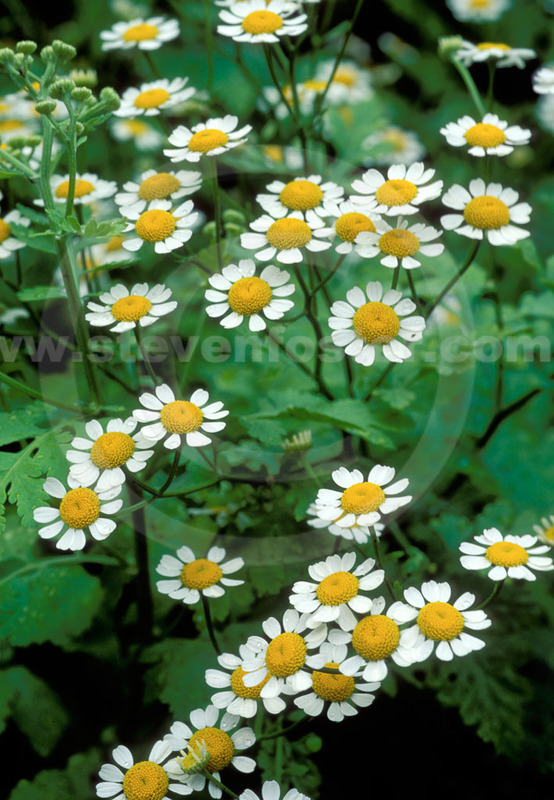 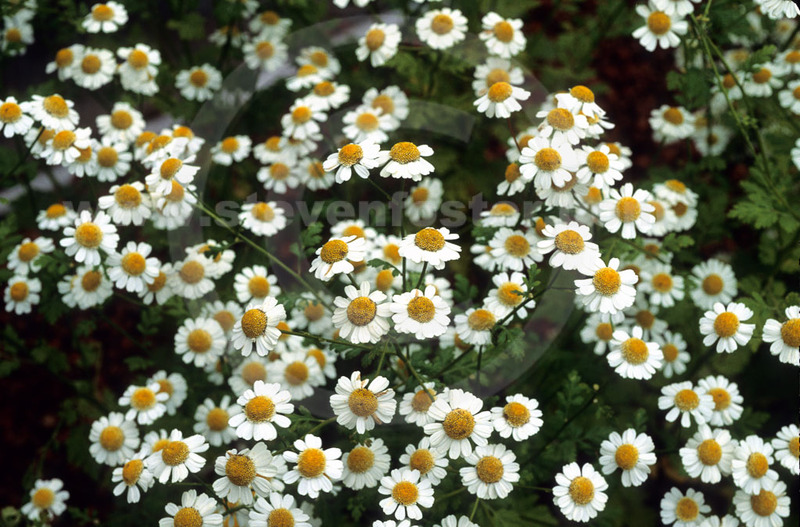 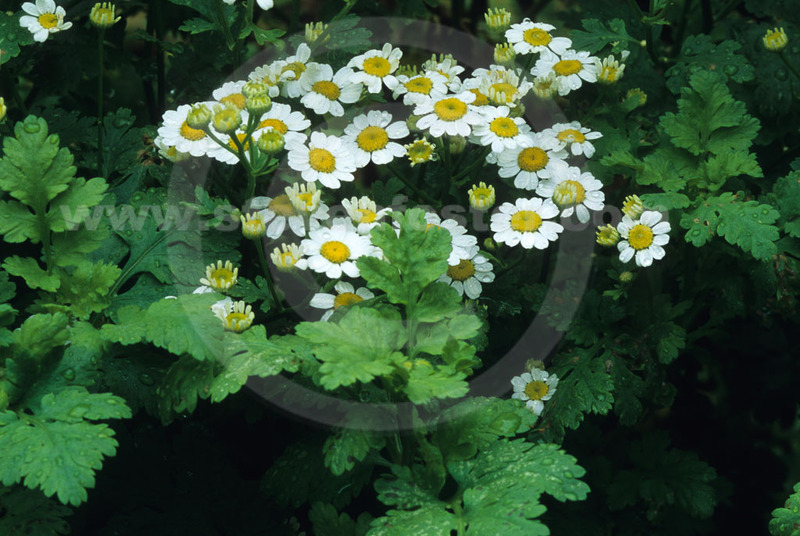 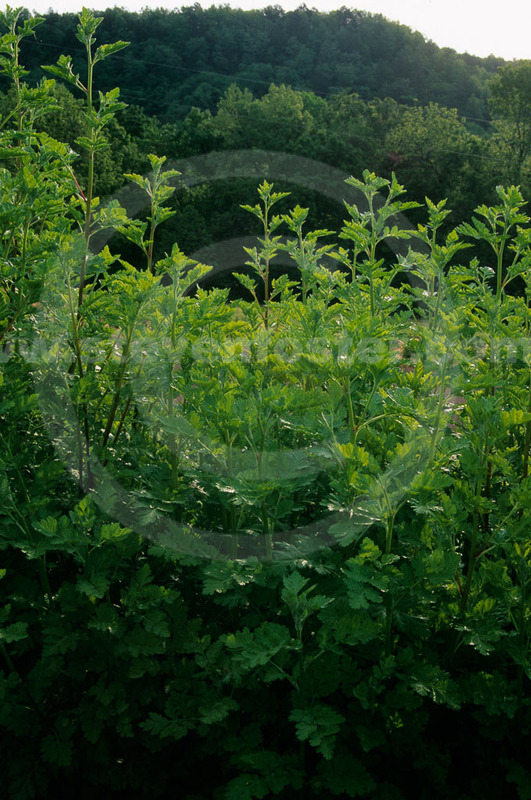 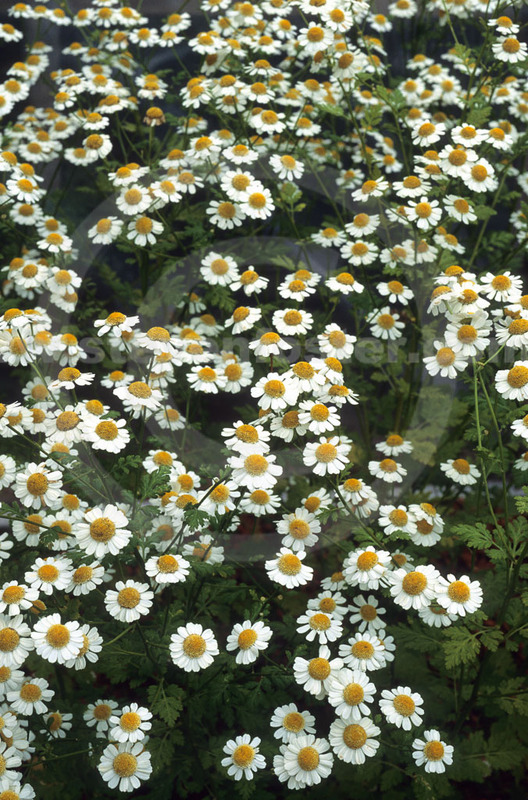 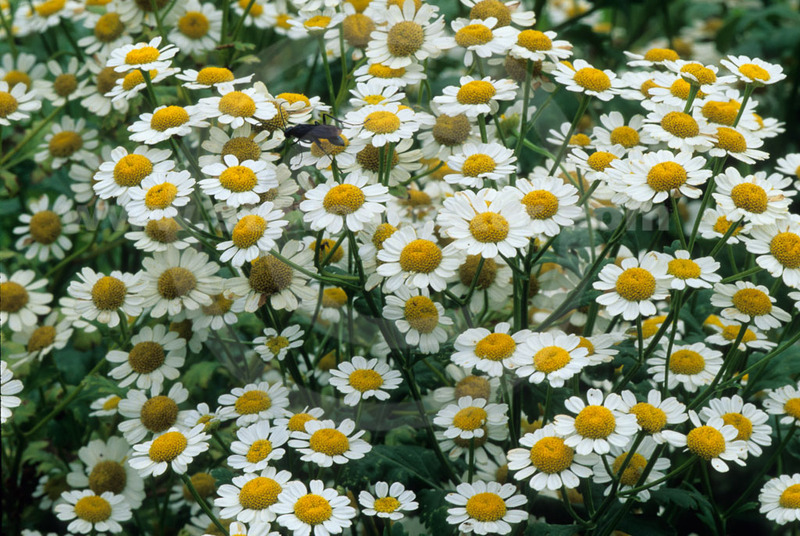 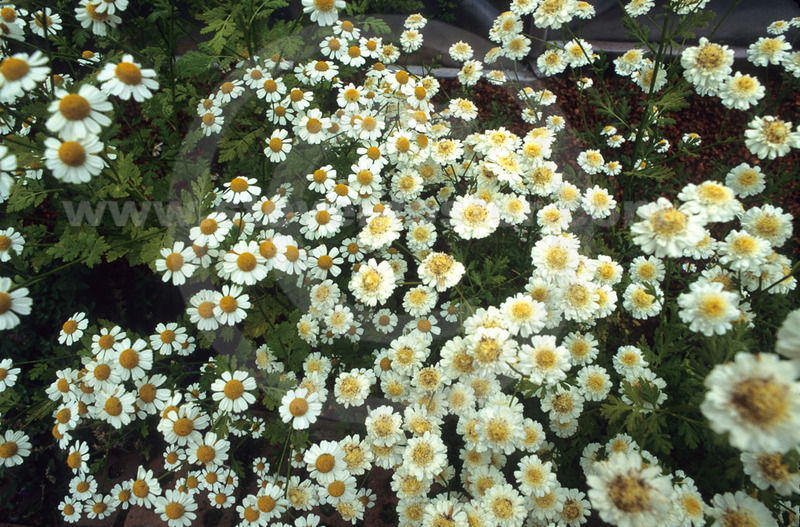 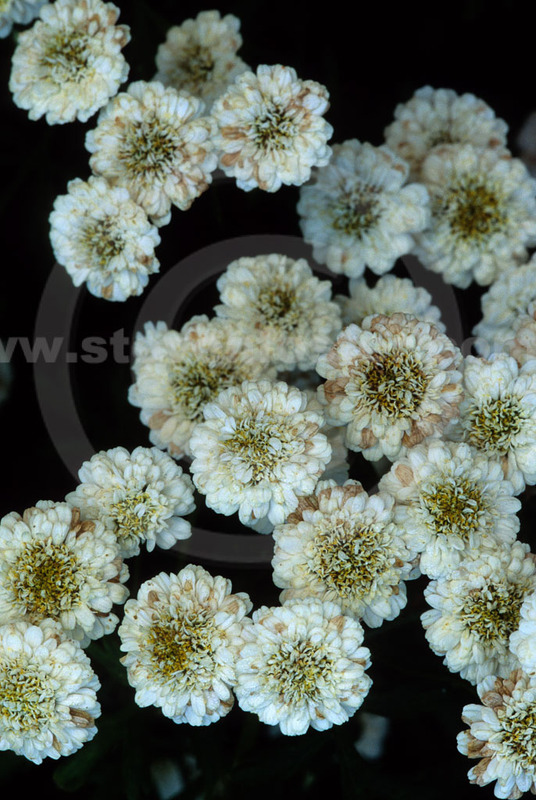 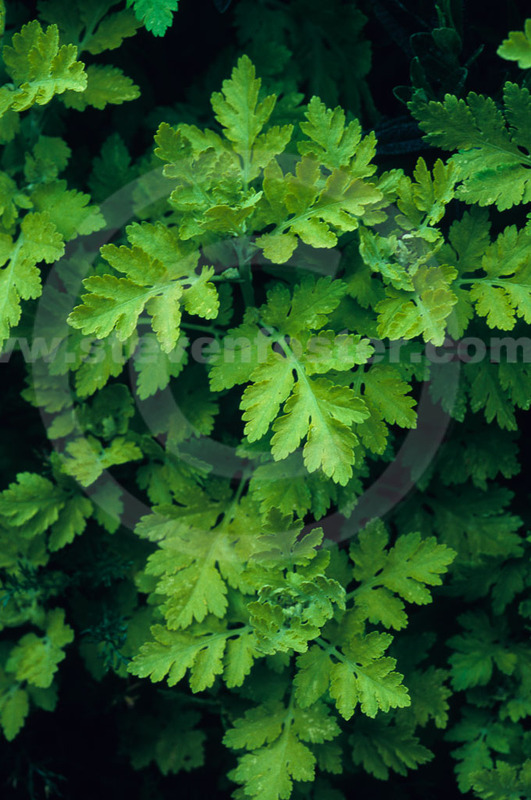 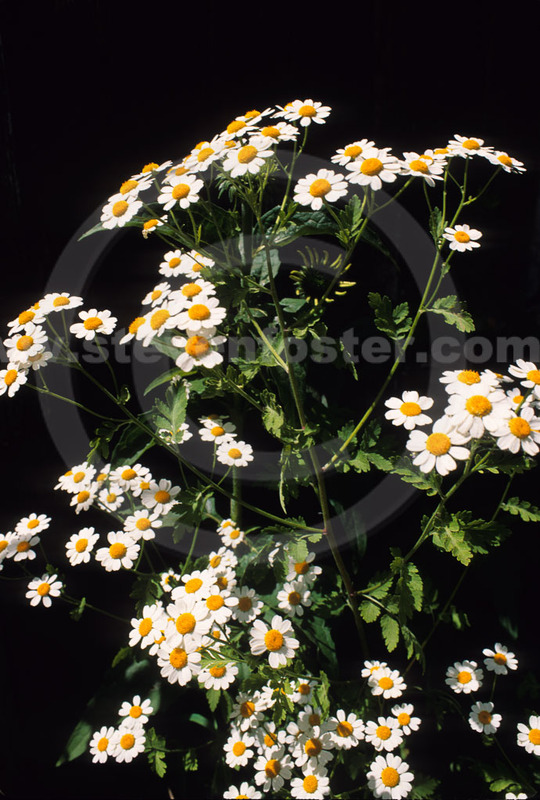 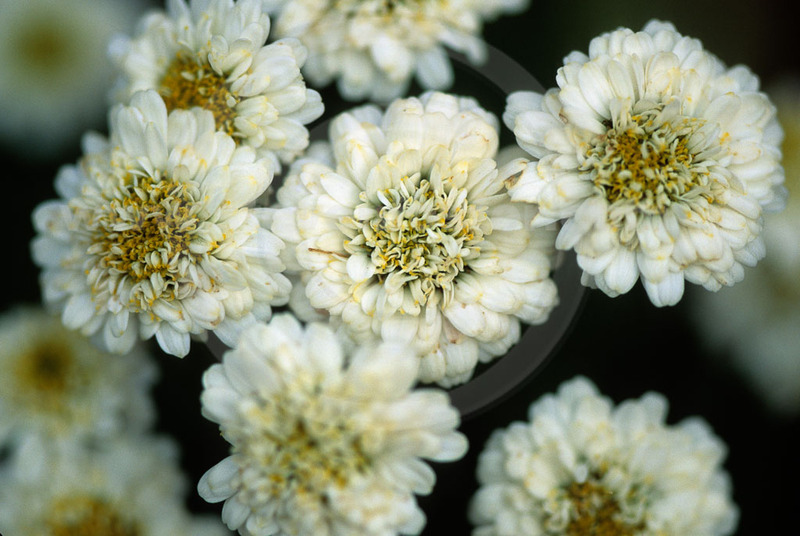 Photos of Tanacetum parthenium, feverfew, also known as Chrysanthemum parthenium. 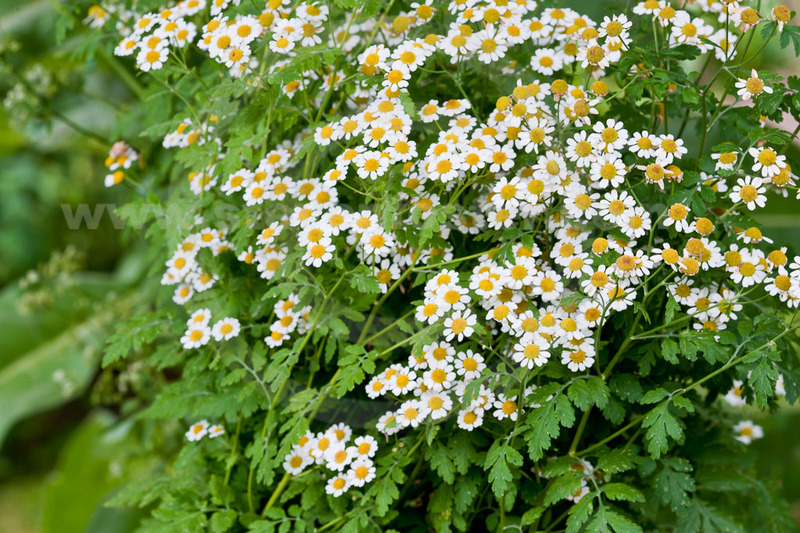 Since the time of the first century Greek physician, Dioscorides, the plant has been used for stomach ailments, fevers, menstrual irregularities and headache. 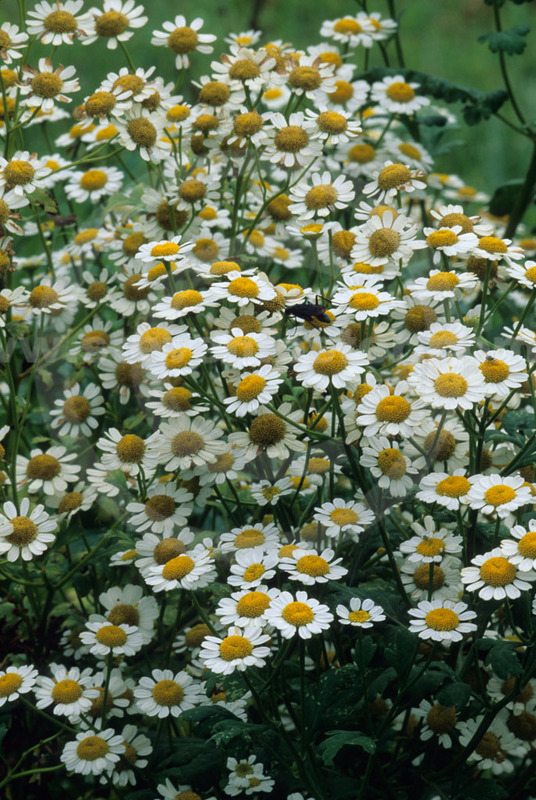 In the 1633 edition Gerarde’s Herball , there is a hint of the use of the plant for headache, “It is good for them that are giddie in the head." 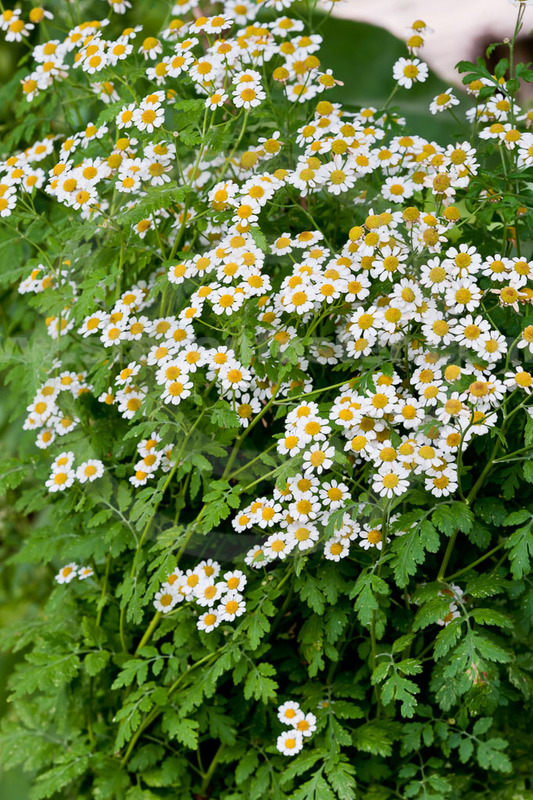 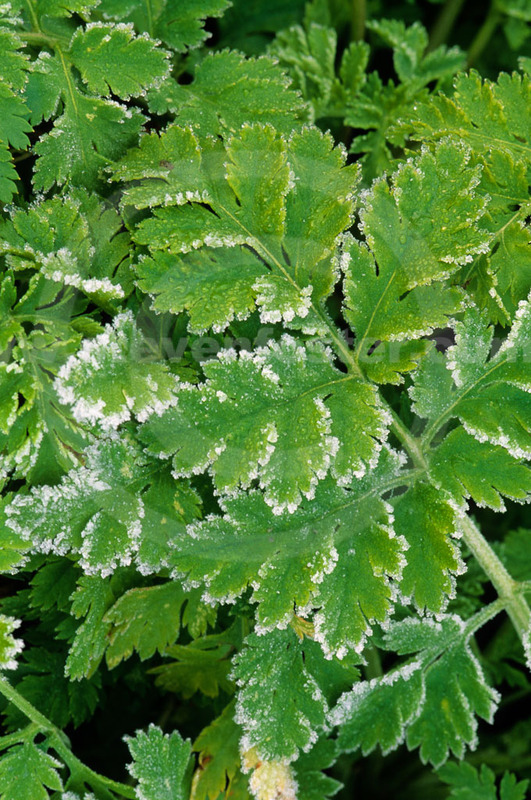 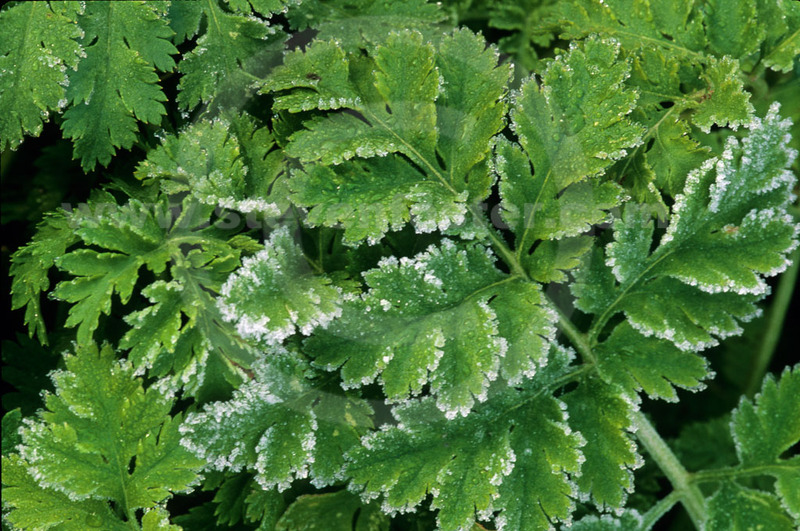 Feverfew leaf and leaf extract is now being promoted as a welcome relief for migraine sufferers.